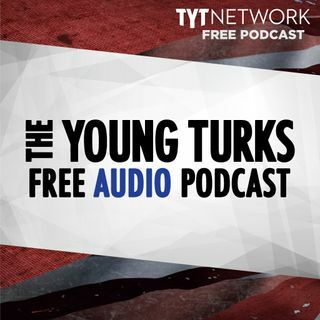 A portion of our Young Turks Main Show from March 8, 2018. For more go to http://www.tytnetwork.com/join. Hour 1: Cenk. Trump said his departing chief economic adviser Gary Cohn could someday return to his administration after making several hundred more million dollars. "He may be a globalist, but I still like him," Trump said of Cohn, who was sitting in the room and announced earlier this week he is resigning as director of the National Economic Council. "He is seriously a ... See More globalist, there is no question. But in his own way he's a nationalist because he loves our country." Sarah Huckabee Sanders reportedly made President Trump “upset” by revealing a bit too much during Wednesday’s press briefing. When answering questions about Trump’s alleged affair with adult film star Stormy Daniels and the $130,000 payout she reportedly received, Sanders commented, “This case has already been won in arbitration.” Cenk prediction: Tillerson leaving administration Hour 2: Cenk & Ana. The FBI paid Best Buy Geek Squad employees as informants, rewarding them for flagging indecent material when people brought their computers in for repair. Mark Cuban is denying a 2011 allegation of sexual assault after a weekly alternative newspaper in Oregon published details of a case that prosecutors didn't pursue, saying they didn't believe there was evidence to support the claim.